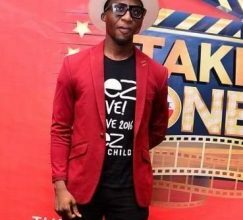 Nigerian actor and filmmaker, Udoka Oyeka, has joined the cast of Africa’s biggest soap opera, Tinsel, in a major role. Udoka plays the character of Tsav who is the younger brother to Sheila (Ireti Doyle), older brother to Yaya (Beverly Naya) and the son of Yahimba (Taiwo Ajayi Lycett). The trained actor put his acting career on hold to focus on directing. He feels he is ready to dedicate his time to acting, his first love. Udoka’s short film “Living Funeral” recently showed in the Short Film Corner at the Cannes Film Festival and has 11 nominations from the Africa Magic Viewers Choice Awards and 2 nominations at the African Movie Academy Awards under his belt.